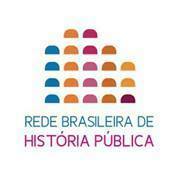 Public History and the Media Workshop hosted at the European University Institute. Photo courtesy of Serge Noiret. It’s been a little over three (almost four!) weeks since the public history workshop in Florence at the European University Institute came to an end, and yet I continue to relish in the happy memories of the Tuscan sun (yes, it lives up to its golden reputation) and the incredible fusion of history, technology, television, and rock concerts. 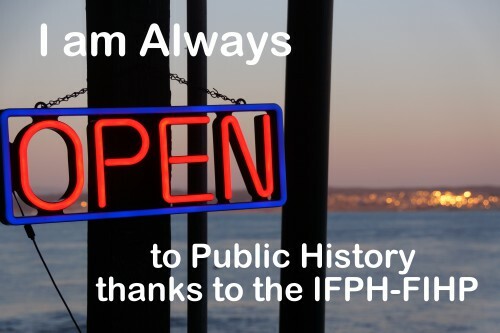 Allow me to back up a bit; in case you didn’t hear the IFPH started a Student and New Professionals Committee, and I have the good pleasure of serving as chair. As such, the public history event in Florence provided the perfect opportunity to expand our international, public history student network. The workshop, officially titled Public History and the Media, was organized by Prof. Luca Molà, Dr. Serge Noiret, and Prof. Lucy Riall. They put together three days full of diverse panels and presenters reigning from various corners of the public history community. Now, because a detailed retelling of all presentations and conversations would be long enough for a short novel, I have instead attempted to highlight the best and most notable moments. So here goes…! Luca Molà and Simon Winder delight in Giuseppe Laterza’s rock concert-like history events. Photo courtesy of Serge Noiret. 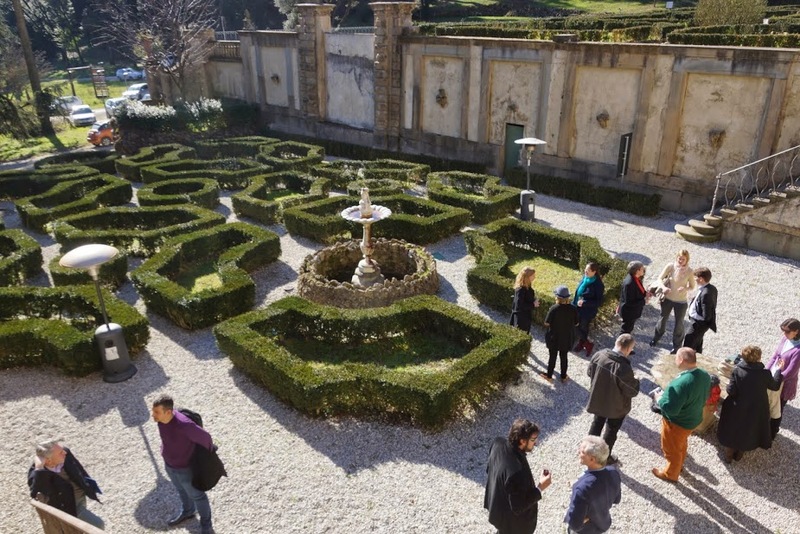 Nestled in the hills directly outside the Florence city limits, the Villa Schifanoia hosted the first day of panels. Beginning with oral history and moving through the day filled with topics of book publishing, teaching public history, and TV & Radio, there was no lack of curiosity or discussion in the room. Between Ilaria Castiglioni’s recollection of the crowd-sourcing movie project Italy in a Day by Gabriele Salvatores: The First Italian User Generated Film, and Giuseppe Laterza’s description of his rock concert-like history events, workshop attendees formerly unfamiliar with the public history landscape in Italy began to understand the successes, trials and errors involved in the practice stile italiano. A pattern began to emerge, however, during the first panel and was finally met with criticism from the audience during the discussion with Amanda Vickery from BBC2. Namely, presenters active in oral history, television, and publishing distinctly distanced themselves from the title of “public historian”. 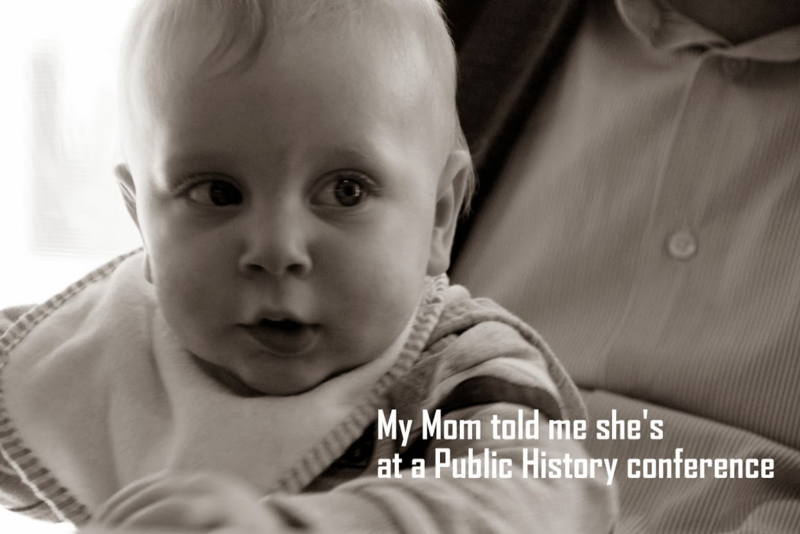 Is the title of public historian too vague, or the “public” too plebeian? 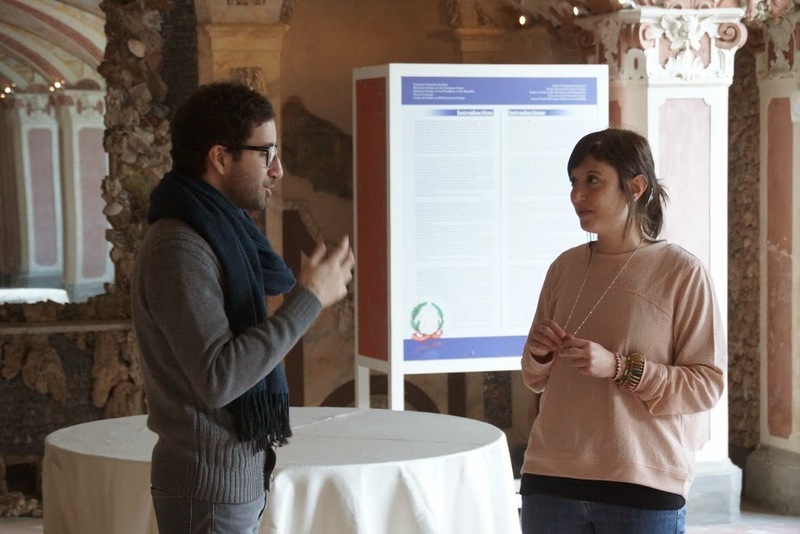 Luca Novarino of the Memoro Project responded that he does not even consider himself a historian – let alone a public historian, but rather as someone who simply enjoys hearing stories just as he did as a child. Novarino continued to argue that what we now call “oral history” is a tradition that has been passed down for thousands of years by those who did not necessarily consider themselves historians. This debate evolved into a reoccurring theme over the following days, “do YOU consider yourself a public historian”, and “what IS public history anyway?”. In an international context, the aforementioned questions expose not only local but regional, national, and linguistic historiographical traditions and disparities. The workshop was off to a great start! Public historians and like-minded practitioners of history gathered for day two of the workshop at the Villa Salviati; home to the Historical Archives of the European Union. Mark Tebeau and EUI Alumna Sandra Toffolo take a moment to chat and network. Photo courtesy of Serge Noiret. Workshop participants enjoy a coffee break in the garden at Villa Salviati. Photo courtesy of Serge Noiret. Later that day, Borden Shumylovych, from Urban Media Archive, reaffirmed how crucial it is for historians to possess a thorough understanding of computers and the internet. He likened digital historians to biologists, because they have to pay attention to detail and astronomers because they need to see the big constellations. Those very details and constellations were visible in the following presentations that day. Pollé spoke of the impressive collection accessible online (approx. 660 hours of films and related material) for the Europeana 1914-1918 project. The Venice Time Machine, which aims to create a 3D digital history of Venice covering a 1,000 year timespan, was explained in detail by Frédéric Kaplan. The final presentation of the day, delivered by Lars Wieneke, gave attendees an exciting look into the power of collaboration in the humanities. Wieneke demonstrated the face-recognition software of HistoGraph, a valuable digital tool for historians and other practitioners within the humanities. Whew! Day two was an intriguing survey of only a handful of unique and innovative digital history projects taking place internationally. 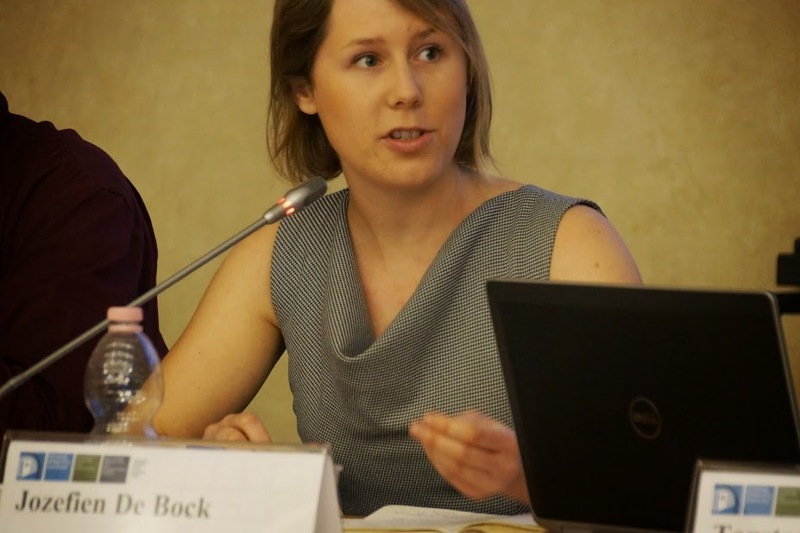 EUI Alumna Jozefien De Bock discusses applying her academic training to public history practice. Photo courtesy of Serge Noiret. 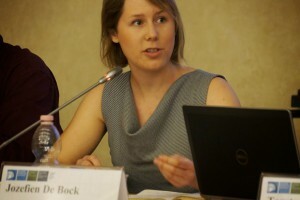 The third and final day of the workshop began with an overview of public history in the United States. Rebecca Conard, Patricia Mooney-Melvin, and Patrick Moore provided attendees with an in-depth look at the history of public history in the U.S., public history practice and pedagogy, and the entrepreneurial contingencies of public history. Conard reported that the National Parks Service played a fundamental role in connecting historians to museum work in the U.S. in the 1930s. Fast forward eight decades and now it’s the ability of public historians to develop their web skills that is crucial to getting a job, according to Moore. Following the first panel was a reunion of sorts of EUI Alumini, who gathered for a round-table discussion titled Which Kind of Public Historians Are We? Public History as an Alternative Job Market for EUI Alumni. Moderated by Thomas Cauvin, EUI Alum and associate professor at University of Louisiana Lafayette, various factions of the humanities were represented and all things public history discussed. The topic of „audience“, who they are and how to reach them, got several responses from the alumni. Gerben Zaagsma emphasized, once again (! ), the undeniable value of multi-media when reaching out to a large and diverse audience. In an attempt to solicit some free advice, I ventured to ask all nine alumni at the round table, what words of wisdom they would give to public historians entering the work force. The answers were fantastic, and even some audience members chimed in, including a representative of the European Parliament. Click over to our IFPH Students and New Professionals Facebook Page, to find out what advice everyone gave (shameless plug indeed!). The final panel of the workshop was about all things museum and museum exhibitions. 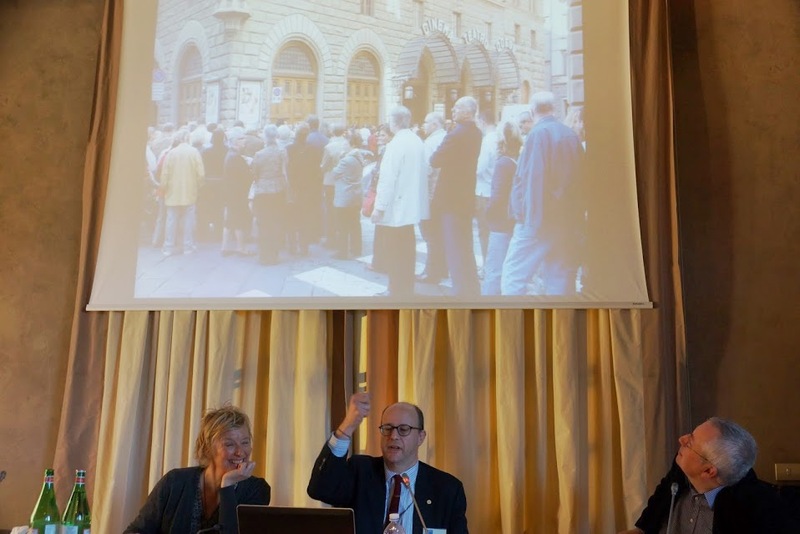 Representatives from the Victoria & Albert Museum (London), Ferragamo Museum (Florence), and the House of European History (Brussels) provided a detailed look at the politics, economics, and artistry of museum work. Workshop participants getting to know one another. Photo courtesy of Serge Noiret. While I am privy to write a conclusion about the three day public history venture, the overall sentiment as everyone said their farewells indicated a beginning rather than an ending. Participants, either just starting out or those with years of wisdom to share, traded business cards and e-mail addresses — a promising sign of good things to come. Public history is gaining international ground, and— public historian or not, Florence was definitive proof of that! 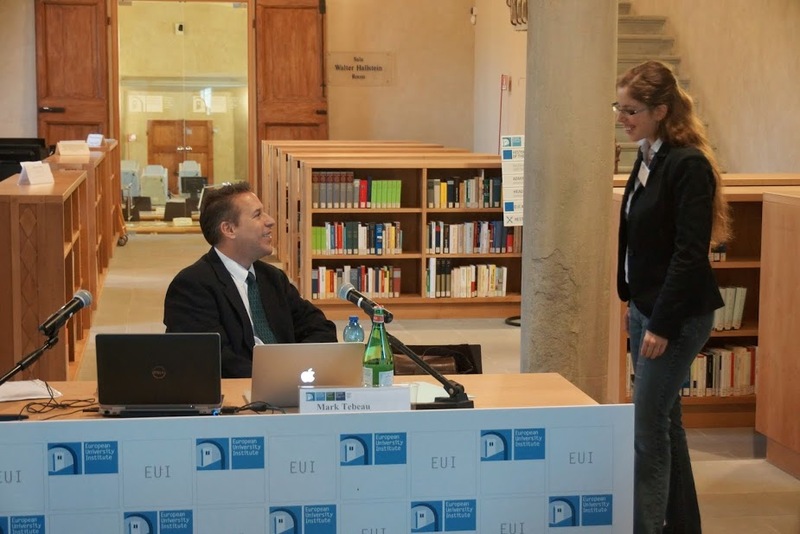 To re-live the public history workshop at the EUI please visit the Storify page courtesy of Deborah Dubald, or check out interviews with workshop presenters. 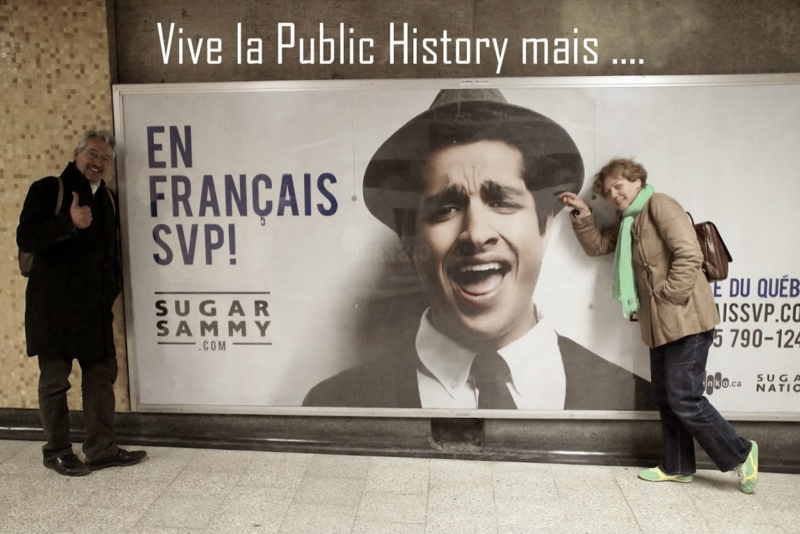 Take a look at a compilation video of workshop participants answering the question “What is Public History for you?” in their native language. For any German speaking public history students or practitioners interested there is an upcoming workshop taking place in Hamburg, Germany from March 25th-27th: Public History in Studium und Ausbildung.